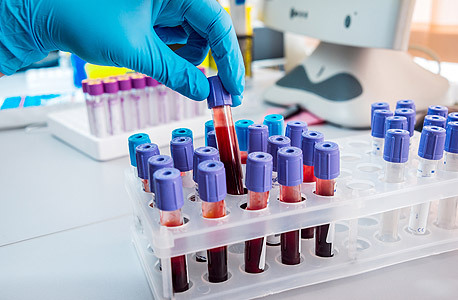 Israel-based Nucleix Ltd. has received 2.5 million euros in funding from Horizon 2020, the European Union’s research and innovation program, to develop its blood-based lung cancer early detection test, the company announced Monday. Nucleix received a grant of an undisclosed amount from the program in 2016. Founded in 2008, Nucleix develops non-invasive, DNA methylation-based cancer screening tests. Methylation is the process in which methyl groups are added to DNA molecules. It can change the way genes are expressed without changing the genetic code itself, creating biomarkers that are typical to specific cell types such as cancer cells. Nucleix has received a CE Mark (European approval) for its urine-based bladder cancer test, and has two other blood-based tests in its pipeline, one for liver cancer and one for multiple types of cancer. Previously, Nucleix raised $11.4 million in equity funding according to Pitchbook, from investors including Herzliya-based healthcare investment firm Orbimed Israel Partners Ltd. and Aurum Ventures MKI. Lung cancer is the second most common type of cancer in both men and women, but the leading cause of cancer mortality, according to the American Cancer Society. As with most diseases, early detection greatly increases chances of survival. Nucleix expects to begin extensive clinical trials for its lung cancer detection test at the beginning of 2019, in Europe and in the U.S., said Nucleix CEO Opher Shapira in a statement.